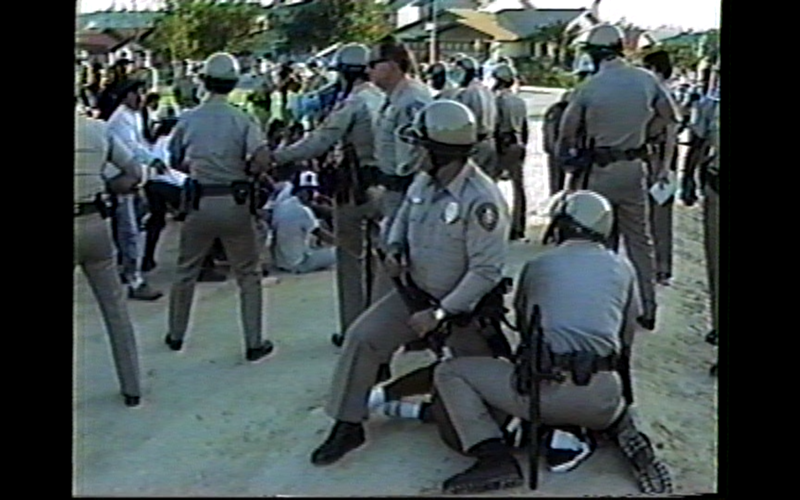 What started as a single episode made for San Diego County public-access television in 1988 became a decades-long collaboration between teacher, artist, and union member Fred Lonidier; students at the University of California, San Diego; and other labor activists throughout California. Labor Link TV (LLTV)—the name given to the program—was meant to drum up support for union causes and actions primarily in the southern portion of the state, giving visibility to union activities, which often receive either slight or skewed coverage in mainstream media outlets. 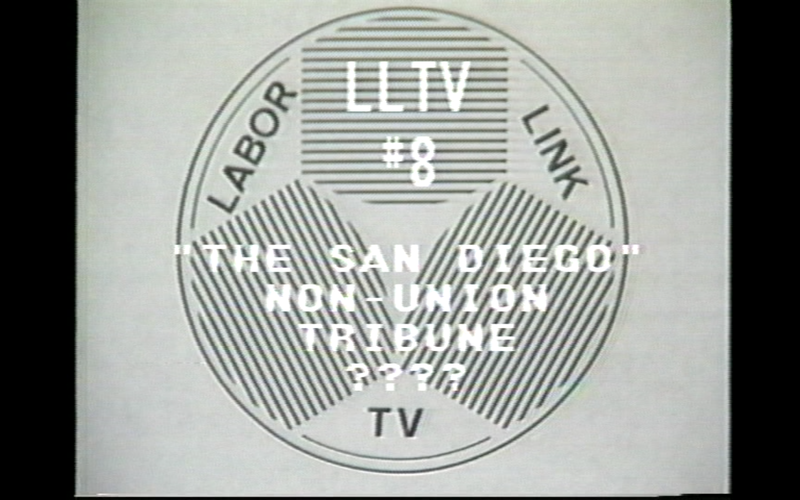 Ninety-four episodes were produced from 1988 to 2011 by LLTV and its collaborators, covering a wide variety of issues, including the activities of the San Diego Union-Tribune (episode 8); labor relations between seven unions and the National Steel & Shipbuilding Company (NASSCO) (episodes 26A and 26B); disputes between Hyundai and the workers at the Han Young factory in Tijuana (episodes 65, 66A, and 66B); and the California Federation of Teachers’ (CFT) rallies and strikes (episodes 79A and 79B). The selection of programs presented spans the broad and expansive history of Labor Link TV and its myriad concerns. 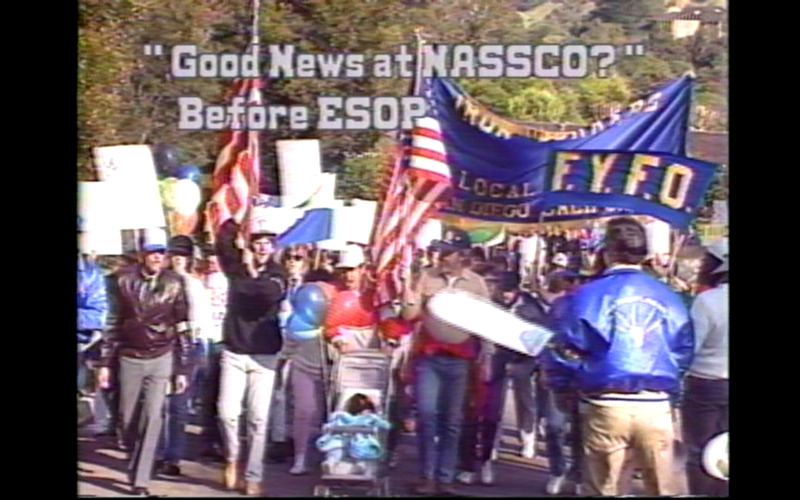 Individual programs often combine stock footage and live coverage of rallies, strikes, and interviews with individual workers, set to classic labor songs selected by Lonidier as each episode’s introductory theme music. 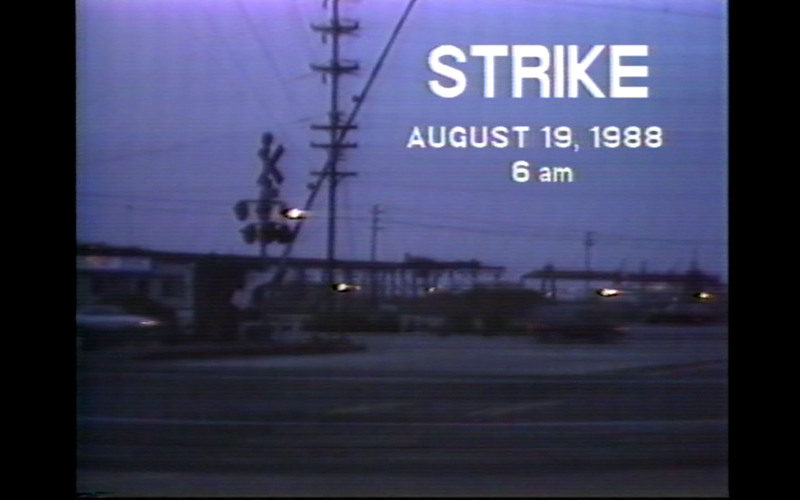 Viewed in retrospect, the breadth of Labor Link TV provides a glimpse into the issues faced by labor movements in Southern California and its border regions. Part of a long and rich history of labor struggle in the United States, the programs employ the use of folk songs such as “Which Side Are You On” and “This Land Is Your Land” to further this connection. The activities of Labor Link TV also coincide with Lonidier’s own practice, which utilizes photography and other forms of archival documentation to address racial and social inequities in the United States and the activities of the labor movement. 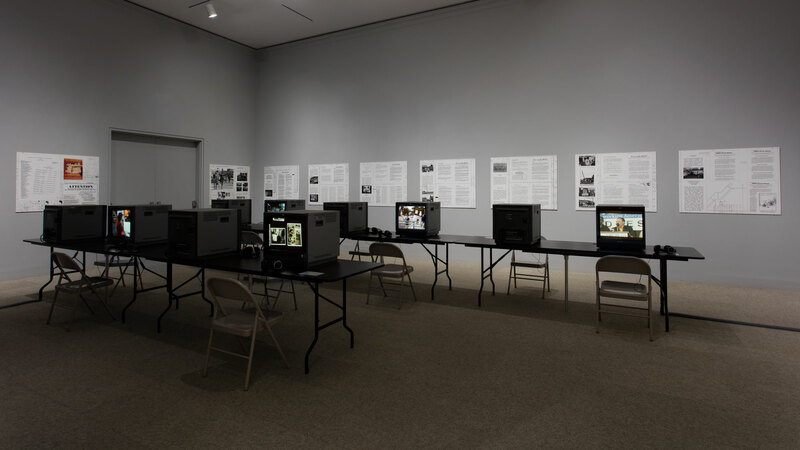 In addition to the survey of Labor Link TV in the galleries, episodes will also be shown in their entirety on the Public Access Digital Network (PADNET)—the city of Long Beach’s community media center and public access television station—on Mondays through Thursdays at 7:30 p.m. throughout the run of the exhibition.